When working back country areas, your stove and cookware is one of the most used items in your pack. Ensuring you buy the correct gear for your individual applications, will save you money and grief in the long run. Backpacking stoves basically reduce down into two groups, liquid fuel and gas canister, each with their own set of advantages. Liquid fuel stoves should be employed in applications where your stove will have a lot of run time, or in very cold temperatures. 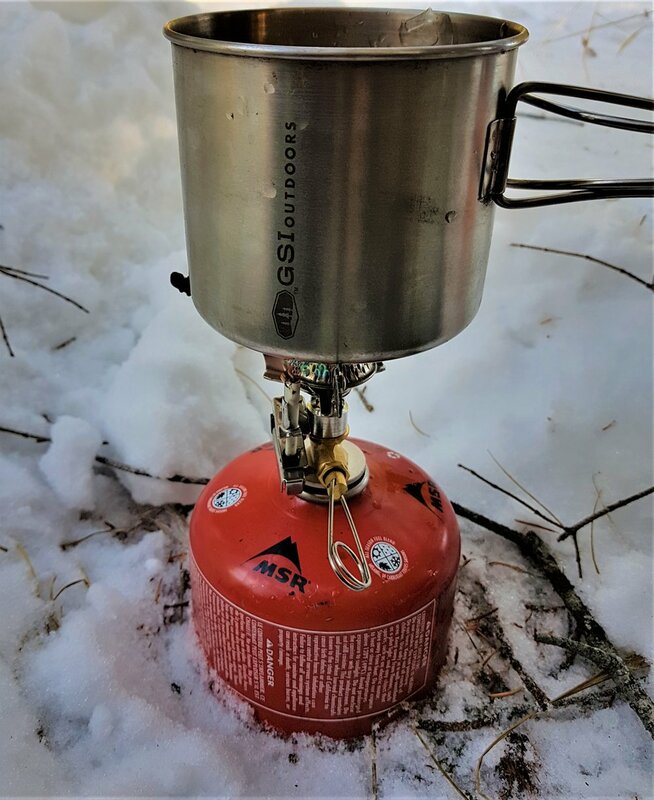 When you are spending a lot of time simmering "real food" meals, or melting snow as drinking water, liquid fuel stoves are more economical then gas canister. When the temperature drops, liquid fuel stoves maintain their performace. Many of these stoves are also able to burn a wide variety of fuels, such as diesel or gasoline, which adds to their economical benefit, or reliability when traveling in areas without camping supply stores. Gas canister stoves shine when small size, light weight and ease of use are in high demand. These stoves can be tossed into almost any pouch or pocket and provide a hot cup of coffee in a matter of minutes. We love these stoves on shorter, early season scouting trips where we plan to pile on the miles in rough country. Placing canisters into a warm pocket can help performance in cold weather, but should be avoided in extreme temperatures. Specialized systems like the JetBoil add to the value and effiency. Cookware gets used a lot. Picking the right pot/cup can go a long way to reducing hassles and getting you into sleeping bag fed and watered quickly at night. 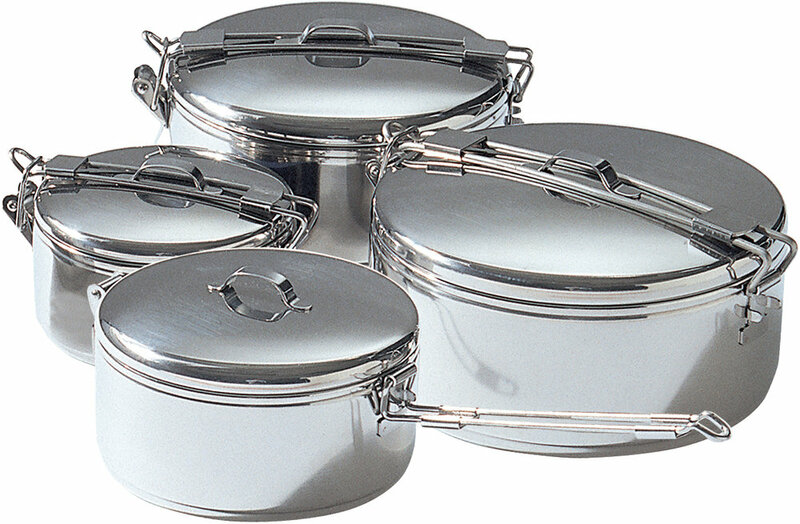 There are three basic materials that cooksets are made out of, Stainless steel, aluminum, and titanium. 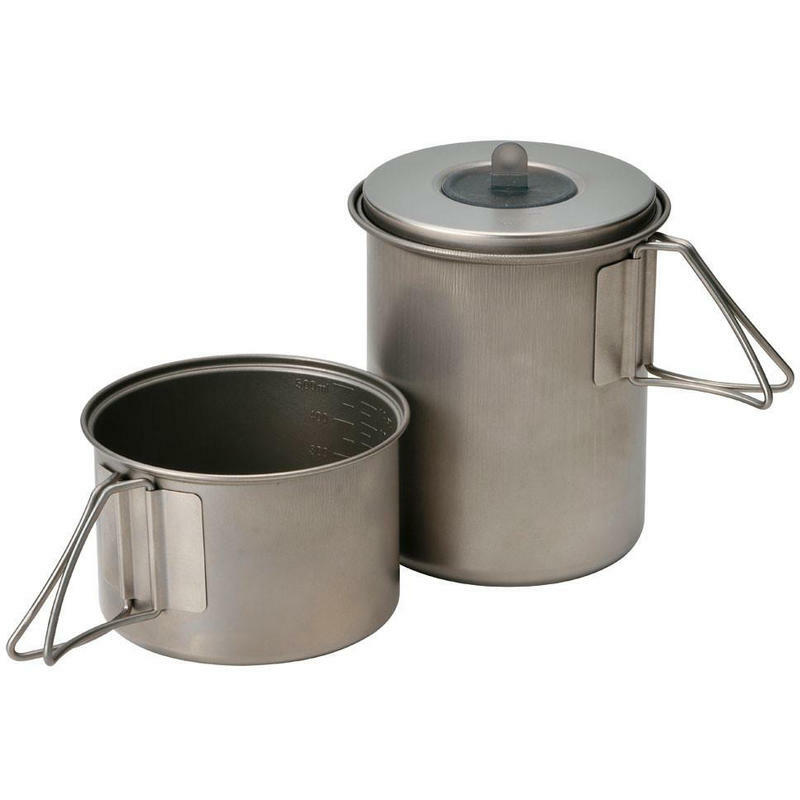 Things to look for in a pot set include a rolled lip to help when pouring hot liquids, a folding handle that is attached to the pot, and a size between 700ml and 1100ml. A short, stout pot will boil liquids quicker then tall slender one (special cups like Jetboil are an exception to this). The only thing we strongly suggest against is teflon non-stick coatings as they deteriorate quickly with the abuses of the field. Intermediate heat dispersion, suitable for boiling and cooking. Excellent heat dispersion for cooking real food and quickly boiling. Hotspots my burn real food, better suited for boiling.